Instagram is the one of the most popular and fastest growing social networking sites that allows its users to share their photos and short video clips. These 15 second video clips are so amazing that they give you a glimpse of what’s going on in the lives of others. One thing that many Instagram users are concerned about is that it does not have a feature to download the pictures and videos directly from their site, even if the content owner allows it. It does not give you a right click option to save the images or videos because of copyright and distributing issues, as most content owners disapprove. 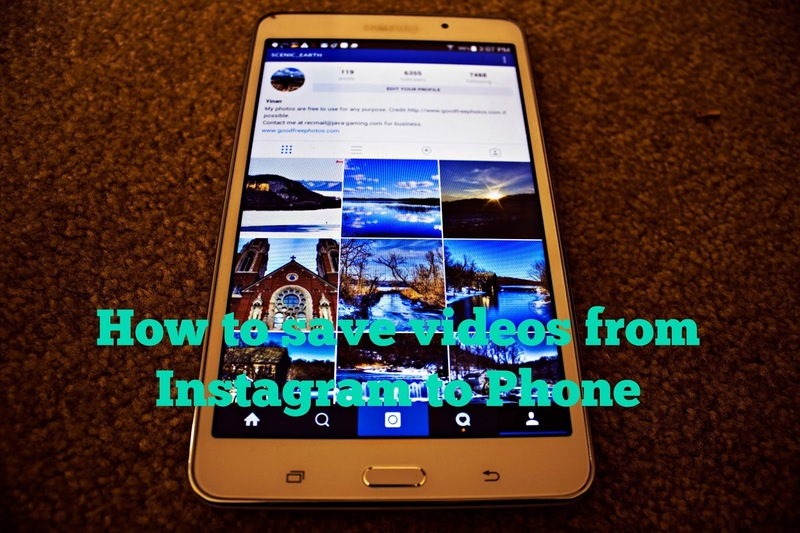 Here in this article, you will learn how to save videos from Instagram to Phone. For all those who wish to save videos from Instagram to their phones (provided you’ve permission from the content owner), there are several ways to accomplish it. The Internet is loaded with numerous third party apps that help you achieve the task of downoading videos and images from Instagram to your phone. Here we will discuss about how you can save videos from Instagram to phone using the InstaSave app. Once the InstaSave app is installed, open it. The app will ask permission to access your Photos. You can grant permission by tapping on OK.
You can now see that your Instagram feed has been loaded in the app. Select the video you wish to save to your iPhone or iPad Camera roll. You will find a Save icon at bottom right of the video. Tap on it. The selected video will be saved to your Camera roll. Download and install the InstaSave app on your android device. Once the InstaSave app is installed, open Instagram. Tap on the three vertical dots at the bottom of the video that you want to save to your phone and select Share. Select Share via InstaSave on the next screen. The selected video will open in InstaSave and you will find a Save icon at bottom right of the video. Tap on it. The video will be saved successfully to the photo gallery in your android device. Some of the, other third party apps that you can use to save videos from Instagram to phone are Instagram video downloader, GetThemAll any file downloader, EasyDownloader and Hashtack. These apps, which are very easy to use can download almost all Instagram videos, both from public and private profiles. With the help of these apps, you’ll be able to save Instagram photos or videos in a matter of seconds. You can save these videos in MP4 format and they can be played on any device. Also if you’re interested in saving images, then there’s no need to go through all the hassle mentioned above as you can just simply take a screenshot. If you’d like to save Instagram video on your Mac device, the best solution is to try Elmedia Player PRO. Disclaimer: This is an educational article for people interested in saving videos from Instagram, provided they’ve the owner’s permission – We do not in any way endorse via this article to download without explicit permission & won’t take any responsibility either.